To build on the Friday Financial Fitness from two weeks ago, we have included 5 more every day tips to save money. 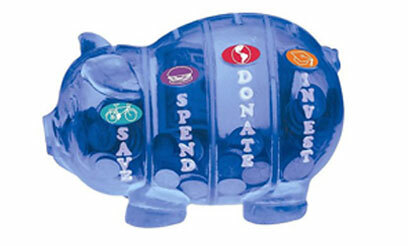 Taking simple steps to save money has a chain reaction that improves the quality of your life in more ways than one. First, additional money in your pocket will help you pay off those bills faster, thus decreasing stress and anxiety that often accompanies debt. By decreasing your debt at a faster rate, you will also be well on your way to improving your credit score; improving your credit score impacts your borrowing opportunities. Below, we outline 5 more ways to save money on a daily basis. Every day, millions of Americans spend a minimum of $5.00 a day when going out to lunch during the work day. If you live in a more expensive city, the price of a single lunch can skyrocket to $10 or more per day. When you’re working 5 days per week, that adds up to $50 per week, $200 per month, and $2400 per year. That $2400 could be used to pay off outstanding debt, or put away for a rainy day! Though the work week is often busy, try to set aside some time (maybe even on a Sunday) to cook for the week. Buying groceries is much cheaper than buying your lunch every day; cooking in bulk for the week will help you pocket that much more money over time. Many of us find that every month, our cell phone bills seem to skyrocket. One call here, another call there-and suddenly you have exceeded the total number of minutes included in your plan. If you have a plan that offers free phone calls in the evenings and on the weekends, try and schedule your personal calls during these times. Month to month, this will reduce your bills, helping you pocket a substantial amount of cash over the course of a year. When you’re in a hurry and you need cash, it’s convenient to withdraw money at the closest ATM you can find. If you are withdrawing money from another bank’s ATM, the average fee each time you do is around $1.97. Fees can even go up to $4.00, depending on where you are. Banks make a fortune charging non-customer surcharges and consumers spend a fortune filling banks pockets. Next time you’re in a hurry to get cash, take a few extra minutes to figure out if your bank has an ATM nearby that you may not know about. If you really want to stop spending on non-customer surcharges, plan to get cash before you go-those few extra minutes of planning will save you money over time! This simple, 14 day exercise will bring more awareness to your personal spending habits. Get a small notebook that you can carry around with you; for 2 weeks, simply record every dollar you spend and what you buy. After the 2 weeks are up, it will be interesting to see where all your money has gone. Take a close look at every purchase and then figure out ways to cut corners. You may be surprised to find that you may not need that $5.00 magazine after all.